Clothing/Jewelry Description A blue t-shirt over a black thermal shirt, black jeans and a black baseball cap. Medical Conditions Graves suffers from asthma and requires medication to control his condition. Distinguishing Characteristics African-American male. Black hair, brown eyes. Graves's nickname is Peanut. 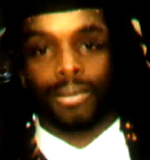 His hair was styled in long dreadlocks at the time of his disappearance. 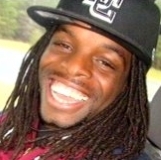 Graves was last seen in Sumter, South Carolina on January 30, 2010. He lived and worked in Myrtle Beach, South Carolina, but had gone to Sumter on a spur-of-the-moment trip to attend Morris College's homecoming. He went to Sabastian's Nightlife, a nightclub in the 3200 block of Broad Street, at 11:00 p.m. Shortly before midnight, the bouncer asked him to leave because he'd become drunk and unruly. Just a few minutes after he was kicked out, Graves tried to re-enter the club. The bouncer refused to let him inside and security staff escorted him off the property. He may have gone to another club, the Blue Mist, in a white car, but this hasn't been confirmed. Graves made two phone calls in the early hours of the next morning. He called a cousin and a friend, neither of whom answered their phones. He left voice mail messages with both numbers, but his voice was unintelligible, possibly because he was drunk. The last call was between 3:30 and 4:00 a.m. This was the last time anyone heard from him. After that, his phone went straight to voice mail. Investigators were unable to determine where Graves was when he made his last two phone calls. The two friends Graves was with the night of his disappearance were both interviewed by police and one of them passed a polygraph, but the other refused to take the test. Graves's cousin stated Graves had an argument with that man earlier on January 30 after he showed up at his home unannounced and uninvited and asked to to stay. Investigators stated the man was a person of interest in Graves's case, but he hasn't been publicly identified or charged with anything in connection with it. Graves's father was never a part of his life, and his mother died when he was three years old. His aunt and uncle raised him after that, in Little Rock, South Carolina. He attended Morris College for a year before transferring to Coastal Carolina University. He was a trainer for their football team and graduated in December 2008 with a degree in sports management. He doesn't have a criminal record, he didn't associate with drug dealers and was well-liked with no known enemies. 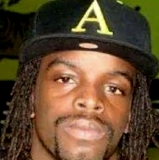 Graves's loved ones stated it's uncharacteristic of him to be out of touch with his family and, though he liked to make spontaneous trips, he always kept his loved ones informed of his whereabouts and he visited his aunt and uncle every weekend. Authorities believe foul play was involved in Graves's disappearance. His case remains unsolved. Updated 5 times since October 12, 2004. Last updated September 21, 2018; two pictures added.